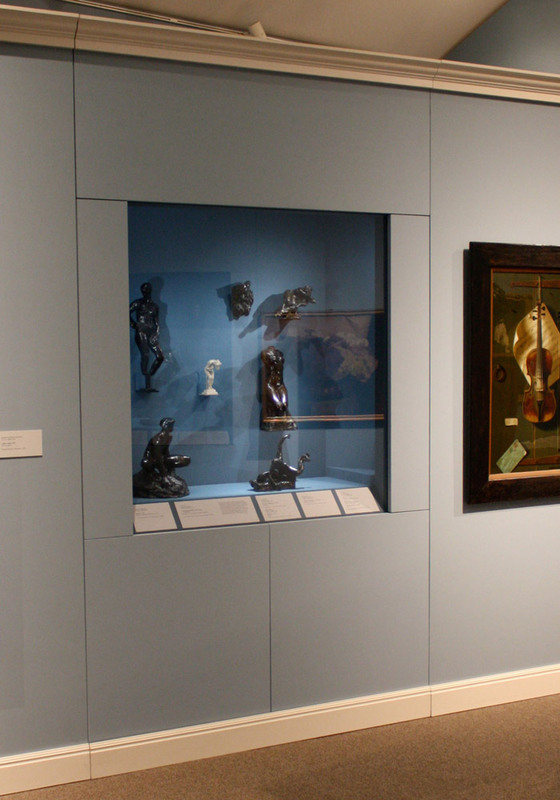 Exhibition display cases for the Robert Mondavi Family Gallery of Nineteenth-Century American Art. Cases are designed to be incorporated into exhibit plyons and are flush with the display walls when closed. Hidden locks allow full front access to the artwork, fiber optic lighting, wiring and desicant storage.